Unfortunately Spring Break is not a carefree time for thousands of North Carolina children and their families. When school dismisses for the week, nearly 300,000 children in our 34-county service area lose access to the two meals per day that they usually receive through the free and reduced-cost meal programs. As a result, we often see an increase in the number of parents and grandparents seeking food assistance for their families. 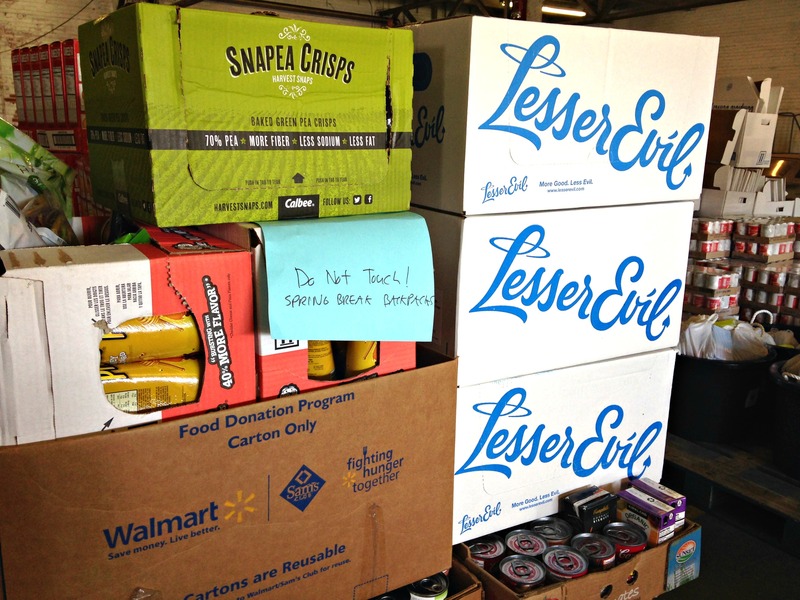 Through our Weekend Power Pack and school pantry programs, partners like Nourish NC help bridge the Spring Break meal gap by providing boxes of extra food. Nourish NC provides weekend meals for over 190 children in New Hanover County. A few weeks ago they came to our Wilmington Branch to get extra Spring Break supplies. 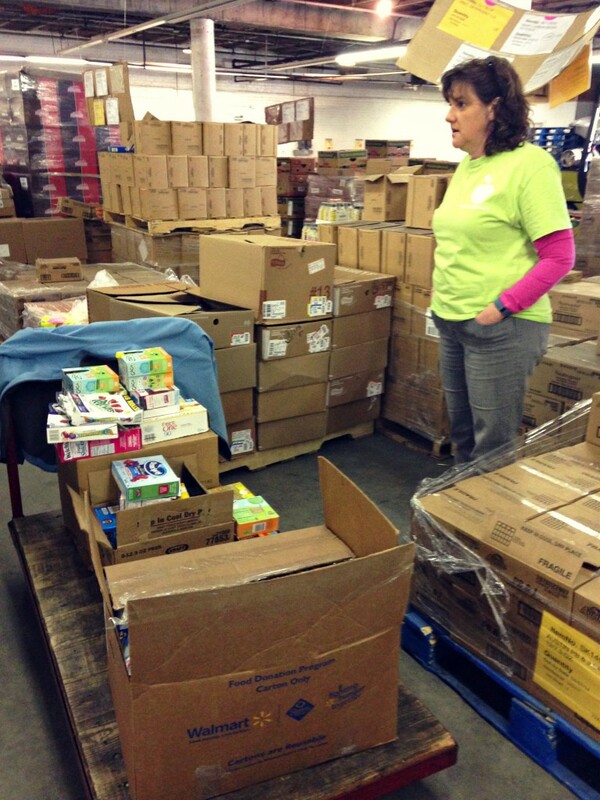 “We need snacks!” said Beth Hollis, Chair of the Nourish NC Board. They walked through the aisles looking for snack items such as crackers to put in their Spring Break boxes that will provide at least 7 days worth of food for children in need over the holiday. “It’s been obvious that more and more partner agencies are seeing the need and the value of holiday boxes. It’s an area that’s been kind of forgotten about in the past, and we’re seeing an increase in interest.